The Cafritz Interests team has spent more than 30 years cultivating a proficient and diversified portfolio of real estate development projects in a wide range of challenging market sectors all across the country. Versatility and visions are hallmarks of our company, bringing proven expertise and creativity to a variety of real estate endeavors. As one of the most resourceful and accomplished real estate developers in the country, we actively seek opportunities to create value and transform development markets by redefining property use, upgrading facilities and providing enhanced and innovative property management with on-site services. Cafritz Interests operates across all market sectors, including offices, hotels, restaurants, residential housing, senior living, student housing and industrial properties. 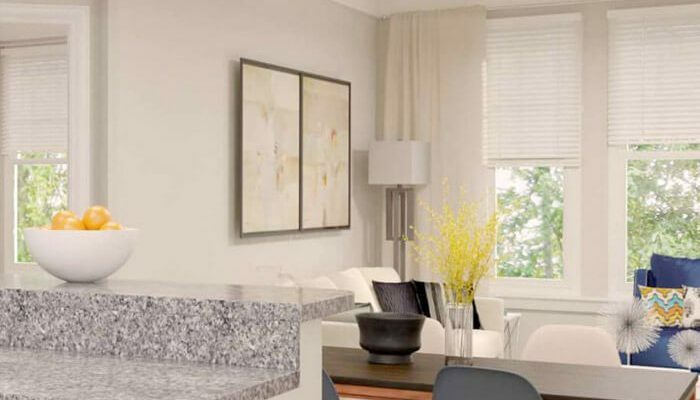 In addition to a vast portfolio in our nation’s capital, we have also developed properties in Baltimore, MD; Philadelphia, PA; Arlington, Alexandria, Fairfax, and Tysons Corner, VA; Chicago, IL; Milwaukee, WI; and other cities across the country. 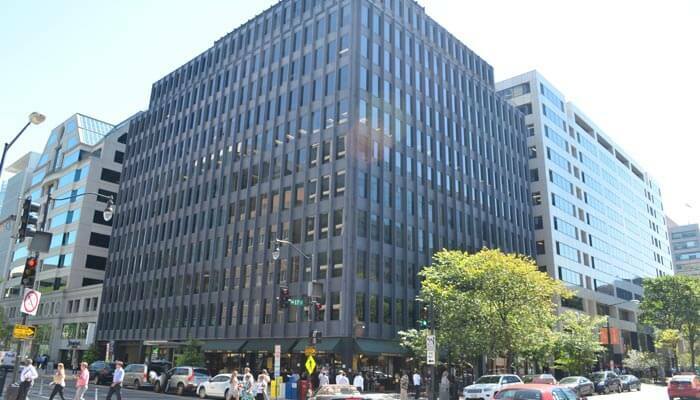 1660 L Street, NW is a 125,800 square-foot corner building with 12 floors of approximately 11,800 square-feet each with on-site parking that is centrally located in downtown Washington, DC It is also the home of the newly renovated Cafritz Interests headquarters. 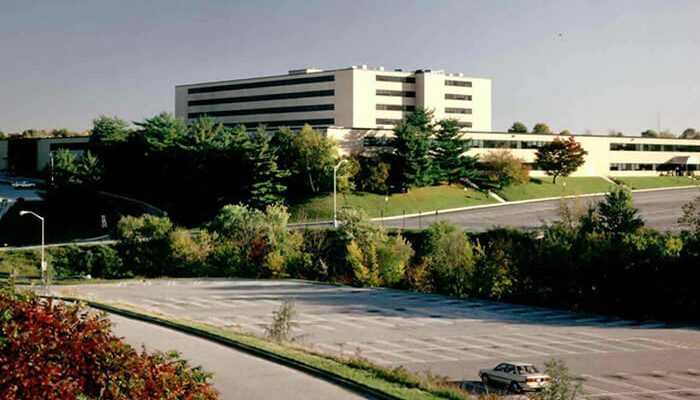 Originally built in 1964, Cafritz Interests renovated the building in 1998 and then sold it in 2006 to the Korea International Trade Association at a price that reflected a sub-5.0% capitalization rate on in-place income. The office tower is classified for Class A office use and features expansive windows and exceptional city views. The 1998 renovations included modernizing the lobby and incorporating upgraded, energy-efficient systems throughout. 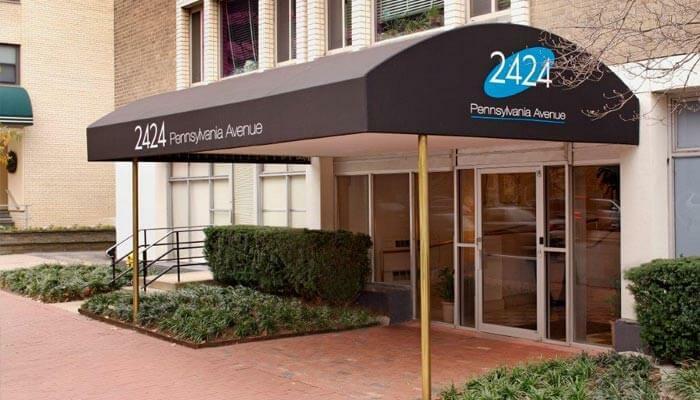 Cafritz Interests acquired the iconic and historic 1775 Eye Street in 1997 and within 15 months completed a comprehensive renovation followed by a successful lease and sale of the building. The renovation of 1775 Eye Street required the complete removal and replacement of the facade, which was retrofitted with hand-set polished granite, new storefronts, a new main entry on the first two levels, and an aluminum curtain wall system glazed with granite and glass on the upper levels. Interior renovations included the replacement of all building systems and elevator equipment, as well as a new core stairwell and new restrooms on each level. The lobby was also expanded and modernized with high-end materials and finishes. 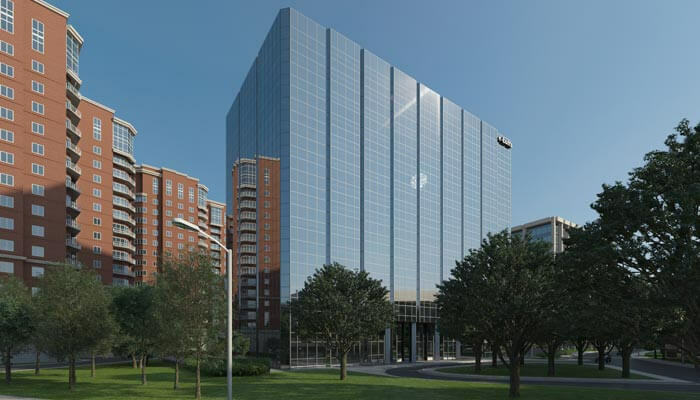 This highly successful project was the first speculative office development completed in Washington, DC after the real estate downturn of 1990 and is one of the company’s most highly visible projects in the region. In 2005 Cafritz Interests successfully completed a value-add strategy of change of use for Marquette University in Milwaukee, WI from a 1960s medical office building to student housing. The renovations for Marquette University were completed in just 18 months and transformed the property into a state-of-the-art student residential community reflecting contemporary trends in student housing, including a fitness center, student lounge, upgraded technology throughout the building and professional management operation. For added flair, the building exterior features a light sculpture by internationally renowned artist Dan Flavin. The property, which has the capacity for 350 beds, was fully-leased for the beginning of the 2007 school year and Cafritz Interests sold the property at a 5.0% capitalization rate in August 2007. Avenue Suites Georgetown is a lifeststyle suite hotel is located in the heart of Georgetown. The warm and contemporary design conveys a chic, yet inviting atmosphere. The onsite bar and lounge, A BAR + Kitchen, offers small plates and cocktails and provides guests a reason to linger and lounge just a little longer on the sun-filled patio deck. With interior spaces decorated with iconic influencers and celebrities, Avenue Suites sets the scene for style and sophistication. 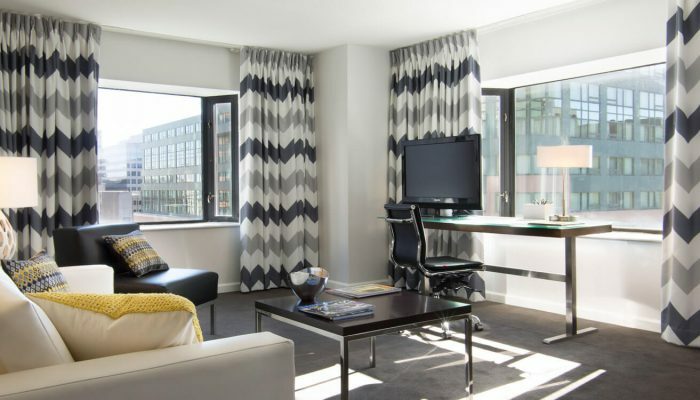 The Brookshire Suites sits in Baltimore’s Inner Harbor, the heart of Charm City. Local influences abound with drink offerings from nearby coffee and wine makers, artwork from local artists, and music from Baltimore musicians. These local elements blend with the hotel’s contemporary energy to create a truly urban and authentic atmosphere. 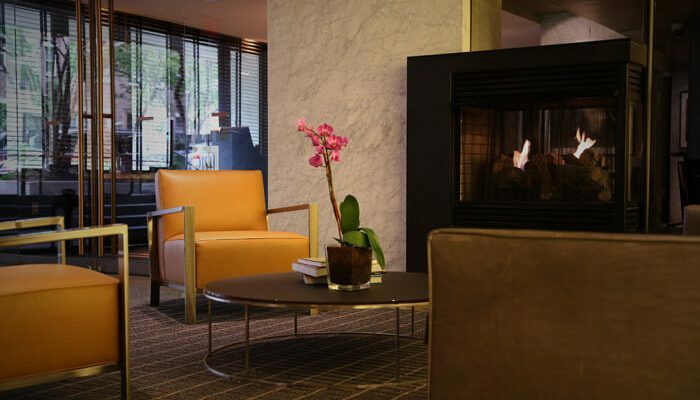 Comfort Suites Chicago is located in the heart of downtown Chicago on North Michigan Avenue. This award-winning, 3-diamond hotel boasts one- and two-bedroom suites that range from 500-1,200 square feet and all contain a full kitchen and washer/dryer. These amenities provide the full-range of guest amenities and services with an upscale residential feel and sweeping downtown views. 244 apartment homes with 5,000 sq ft health club, resident lounge, resident park, game room, media room and pet salon. Delivered in November 2015 and stabilized October, 2016. 200 proprietary live/work lofts delivered in September of 2016. 132 apartment homes with fitness center, communal workstation and ground level retail. The Normandy is tucked within Washington, DC’s Embassy Row neighborhood. Blending in with its many international neighbors, The Normandy exists as a peaceful European-inspired retreat, with a breezy patio entrance way and a sun-filled sitting room with breakfast served daily. The Normandy’s onsite bikes allow guests to venture from the stately embassy streets to the buzz of nearby DuPont Circle and Adams Morgan. Hotel Hive features innovative design and intelligent accommodations for those on a budget. Crisp, clean rooms merge today’s technology with refined minimalism. Hotel Hive guests have the city at their fingertips and a hotel experience that is primed for social interaction. At “The Hive” guests design their own rustic pizza in our restaurant, enjoy craft cocktails at the bar or just chill on one of our outdoor patios or roof deck. Commanding a spectacular view of Washington Circle, One Washington Circle Hotel is centrally located within the Foggy Bottom of Washington, DC Trademarked by its extremely friendly and approachable staff, the hotel offers endless amenities in a hard to beat location of the city. Whether it’s at the pool and patio in the summer or the fireplace lounge in the winter, guests at One Washington Circle relax in its effortless ambience year-round. 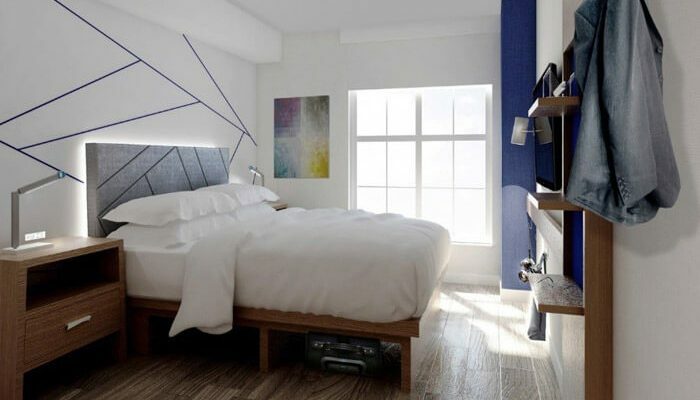 POD DC brings a new generation of value driven hotels in the nation’s capital – surprising details, intelligent design and no fuss. It’s a place where you can be connected and stay in the center of the city’s life. 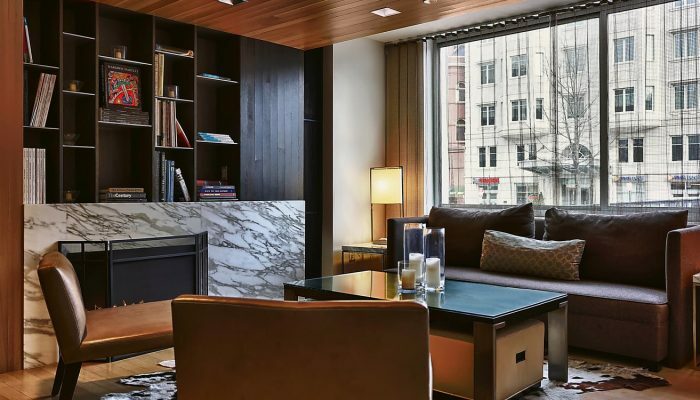 POD hotels were created for the savvy traveler who wishes to experience the neighborhood and connect to the people that make it special. POD DC offers thoughtful amenities, neighborhood partnerships, and personalized service to create unique experiences. The River Inn sits on tree-lined streets in the historic Foggy Bottom district of Washington, DC and is only a short walk from Georgetown. 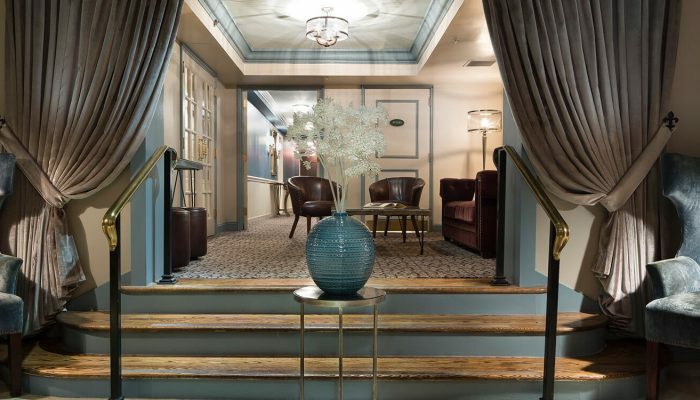 The tasteful neighborhood is reflected within The River Inn’s lobby and guest rooms, where warm and welcoming tones are married with relaxing music and the aroma of DISH+Drinks, The River Inn’s full-service restaurant and bar. Experience a truly relaxing retreat from the busy city with sweeping views of the Potomac River from your hotel suite. 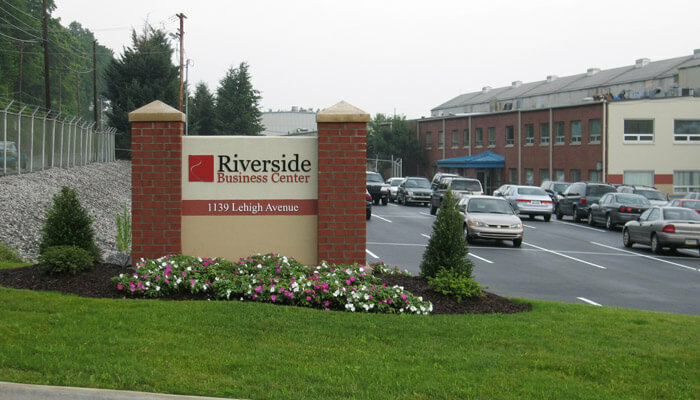 Located in Allentown, PA, just two miles from Lehigh Valley International Airport and Route 22, Riverside Business Center is a 430,000 square-foot industrial, light manufacturing and office facility. Cafritz Interests acquired the property in 2004 and modernized and redeveloped it in 2005 from a specific-use manufacturing plant into a flexible, multi-tenant office, light manufacturing, assembly and medical distribution complex. It is currently being marketed in units of 20,000 square feet and up on a regional basis. Currently serving as the headquarters of the Social Security Administration, the Security West complex is one of the largest office buildings in metropolitan Baltimore, MD. Originally built in 1968, Cafritz Interests completed a $28 million renovation of the 850,000 square-foot complex in 1996 and an additional $15.0 million renovation in 2014. The modernized facility includes a seven-story tower and a connected two-story building set on a 34-acre site and houses approximately 4,000 government employees. 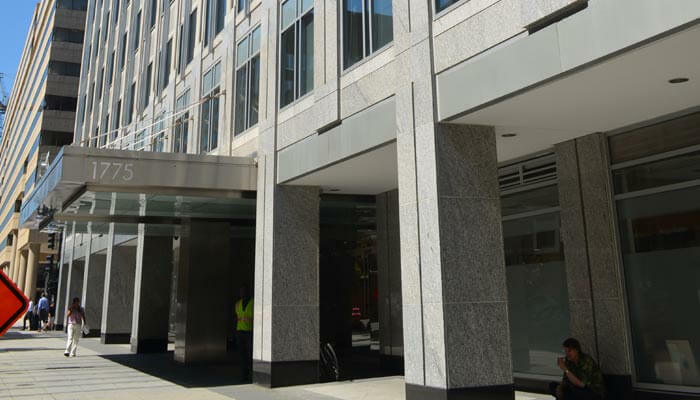 In 2003, Cafritz negotiated a 15-year lease extension through 2018. 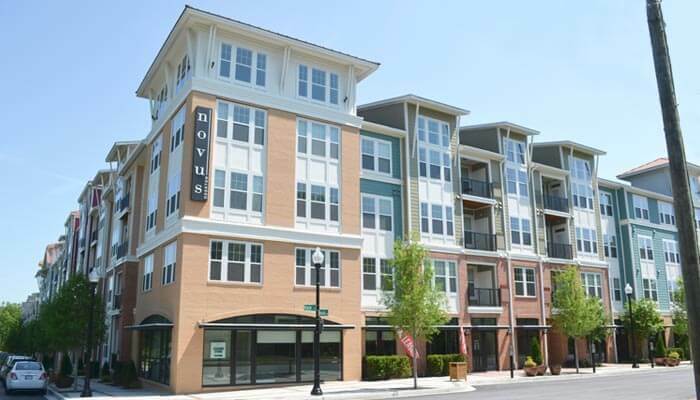 The Flats at Shady Grove is a quiet oasis in the heart of Rockville, MD, just one mile from the Shady Grove Metro Station with immediate access to I-270 and the ICC. The Flats offers perks that include a state-of-the-art fitness center, outdoor swimming pool, and courtyards with grilling areas, making it apartment living that feels more like home. 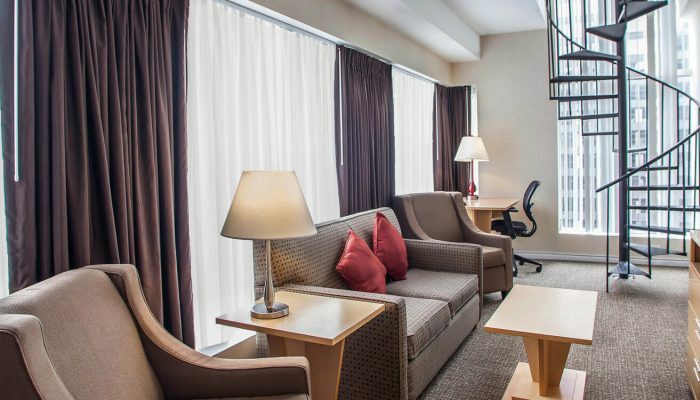 The Virginian Suites Arlington features spacious accommodations just minutes from downtown Washington, DC in Arlington, VA. 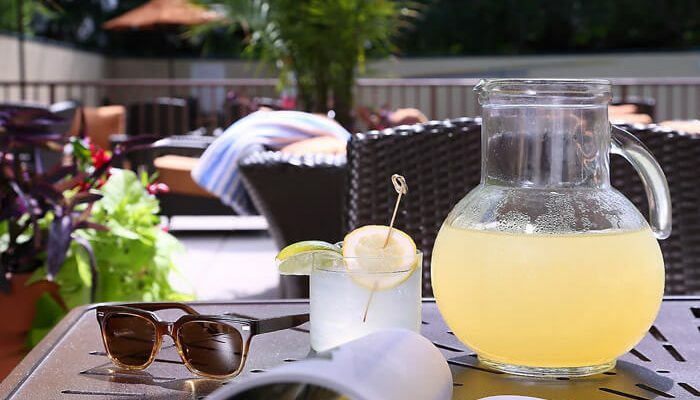 Enjoy all the conveniences of a downtown hotel – access to the DC Metro, fantastic dining and entertainment options, and an outdoor pool, all without the hassle and high price tag. The Virginian Suites offers a host of amenities and services, world class service, and pleasant surprises. 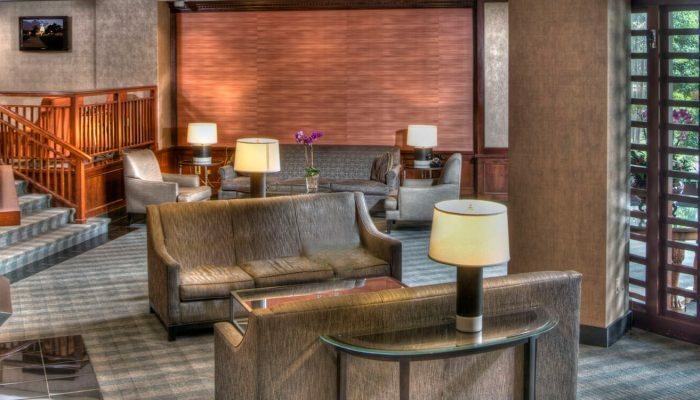 Stay at the Windsor Suites and discover all Philadelphia has to offer, old and new. 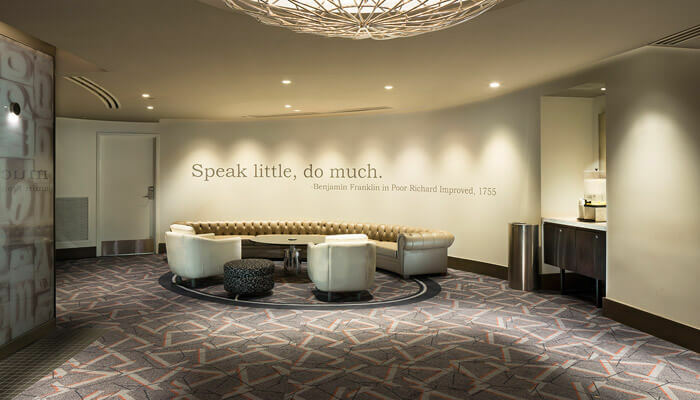 Just steps away from numerous historic sites and museums, Windsor Suites encourages you to find your own spirit of discovery. When it’s time to relax, take advantage of The Windsor’s savvy guest amenities – including a rooftop pool and breathtaking city views from the private balcony of your studio or one-bedroom suite. 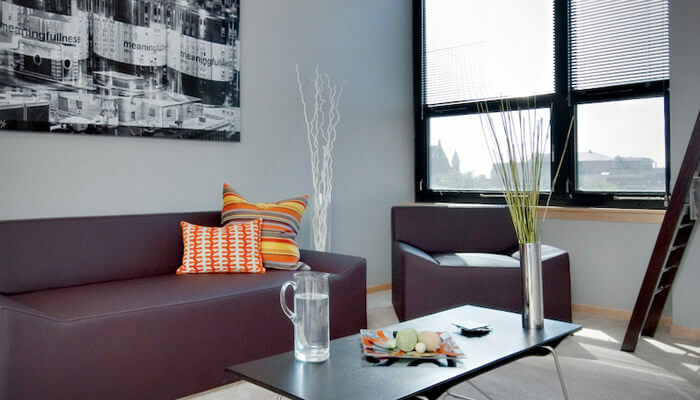 The property also offers over 100 spacious unfurnished apartments in the heart of downtown Philly. 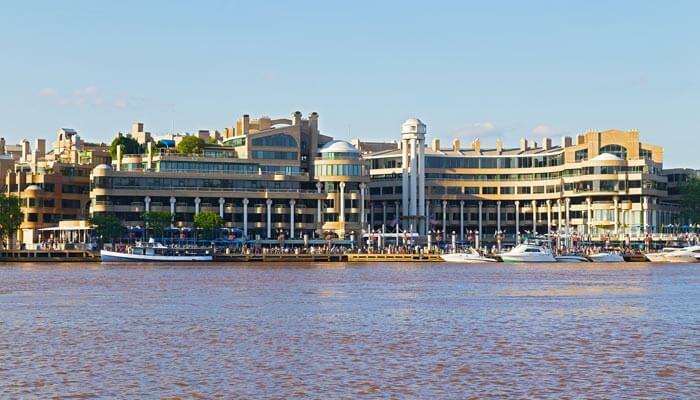 One of the city’s most visible landmarks, Washington Harbour is beautifully located on the banks of the Potomac River in historic Georgetown. Purchased in 1987 prior to reaching stabilized occupancy, Cafritz Interests successfully renovated and leased the building and sold its interests in 1990 to Long Term Credit Bank of Japan. The complex includes elegant brick and limestone buildings with grand columns, arches, turrets, and balconies overlooking an elliptical harbor and landscaped promenade. It features festive retail areas, restaurants, outdoor dining, and vibrant public spaces, as well as luxury condominiums and high-end office space. There are also two levels of underground parking accommodating nearly 600 cars.